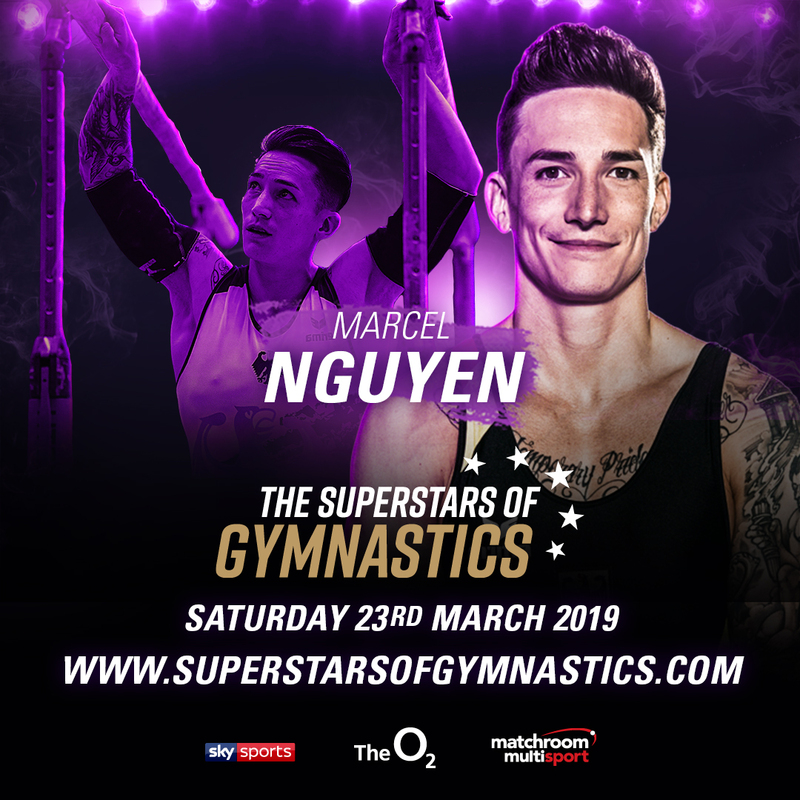 Germany’s three-time European champion and double Olympic silver medallist Marcel Nguyen is the latest star to join the line-up for the Superstars of Gymnastics, which takes place over two sessions at The O2, London on Saturday, March 23. Nguyen will return to the scene of his 2012 Olympic success, bringing back memories of winning silver medals on Parallel Bars and in the All-Around competition. The Munich gymnast has also won three European Championship golds as well as a silver and three bronze medals in a decorated career which also saw bronze medal success for Germany in the team event at the 2007 World Championship. Nguyen will join Simone Biles, Max Whitlock and a host of other major names on Saturday, March 23 in an exhibition of the very best talent in gymnastics over two sessions at The O2, with tickets on sale now at www.superstarsofgymnastics.com. Matchroom Multi Sport COO Emily Frazer said: “The Superstars of Gymnastics has already set the stage of showcasing the world’s elite gymnasts and Marcel Nguyen has now set the bar even higher. Other than the Olympics there is no show out there that brings together this immense level of talent under one roof and what better place to do it than at The O2, London. “This event is appealing to both all-around and individual apparatus gymnasts around the world because of its innovative format; it gives these Superstars the opportunity to perform routines bespoke to this show and fans only. It is one not to miss and one you won’t have seen before. The Superstars of Gymnastics line-up also features two-time Olympic gold medallist Aliya Mustafina of Russia and Germany’s Fabian Hambüchen, a gold medallist on horizontal bars at Rio 2016. Englishmen Courtney Tulloch, Dan Purvis and Sam Oldham will also star, with more gymnasts to be announced shortly. Tickets are on sale now via www.superstarsofgymnastics.com priced from £30 per session for adults with under-16s at half price. Discounted all-day tickets offering admission to both sessions are available from £48 per adult with family tickets (two adults and up to two children) available from £65 per session or £100 for an all-day ticket.